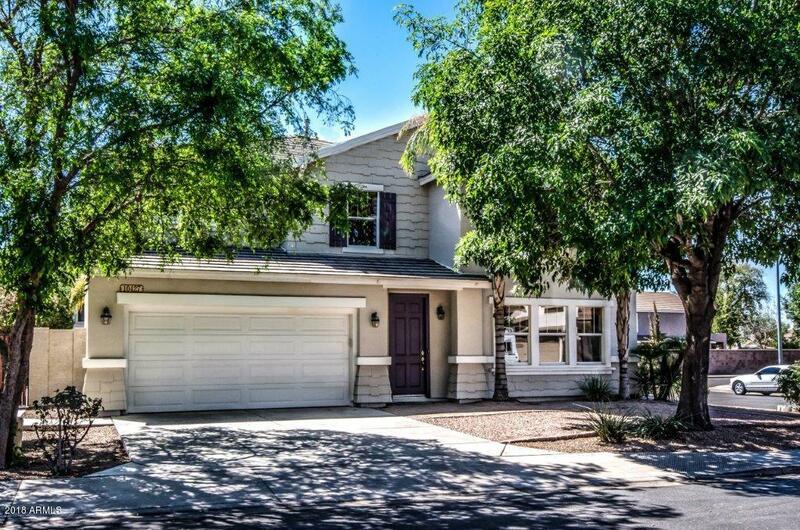 This stunning 2- story home is nestled in Santa Rita Ranch & is move-in ready. The kitchen is a chef's dream with a large island, stainless appliances & a gas stove. One full bath& bedroom is downstairs, perfect for guests. The upstairs hosts a large loft perfect for a game room & 2 extra large bedrooms. Large master suite, luxurious master bath and closet. Private patio is lined with pavers & a diving pool & an RV gate. It's paradise in your own back yard. Pride of ownership is evident with brand new interior paint, upstairs carpeting, newer tile downstairs, newer hot water heater, ring security system & new pool equipment. This home has been meticulously cared for & loved by this owner. Now it's your turn to start making memories & enjoying every inch of this exquisite home.